“In my 19 years of implementing ERP systems, absolutely none”, I admitted and my colleagues confirmed this. “So why do you try to conform to something that is actually not normal?”, the consultant asked. “Because that is what the customers want to hear: ‘Vanilla ERP system’, ‘Cloud’, ‘Agile’, ‘Fixed price’, these are all the current buzzwords”, said my sales director, on which the consultant replied “So you are consciously deceiving your customer?”, the consultant asked. – Every customer has its own identity. Every document will need to breathe that identity, so that by itself means we need to modify the layout of the reports. – Every customer is doing business with other vendors and customers. And if we want to automate the exchange of information then we are talking about creating interfaces! Even EDI doesn’t work since there are different EDI standards, which is a paradox right there. – That company processes cannot be changed to a standard ERP system, sometimes because of statutory regulations or simply because of the situation of the company, whatever that might be. – Adapting ERP systems is simply more efficient or cheaper. – And most of the time the business process is simply perfectly fitting the company`s needs, so why change it to something less effective just so you don’t have to change the ERP system? “So the conclusion is that the normal customer, with the normal set of employees with normal company procedures in a normal country with normal customers and normal vendors doesn’t exist?”, the consultant asked. “If it would exist, I think that it would be very normal for every normal person to start a normal business and compete”, the CEO of Kaya Consulting confirmed. 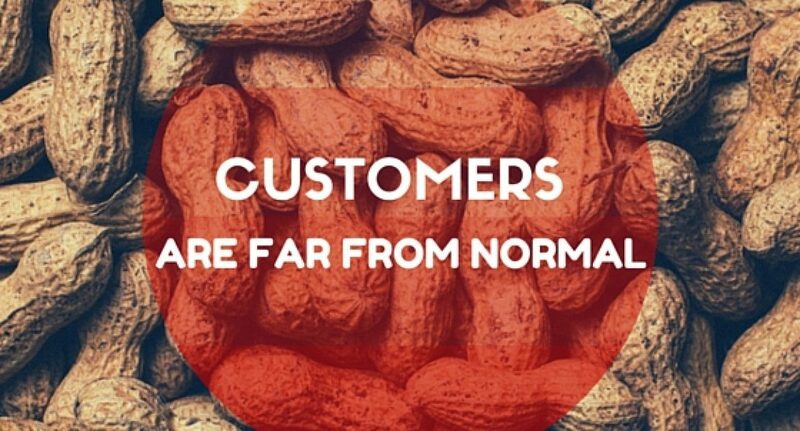 “So there is your challenge: ‘Do you dare to tell the customer that they are far from normal? And that modifying the ERP system to the customer`s need is a normal thing to do?’, the consultant asked. “We have to! everything else is deception”, the sales director stated. What do you think? Add your comment in the section below and don`t forget to subscribe to our newsletter.